Awesome! 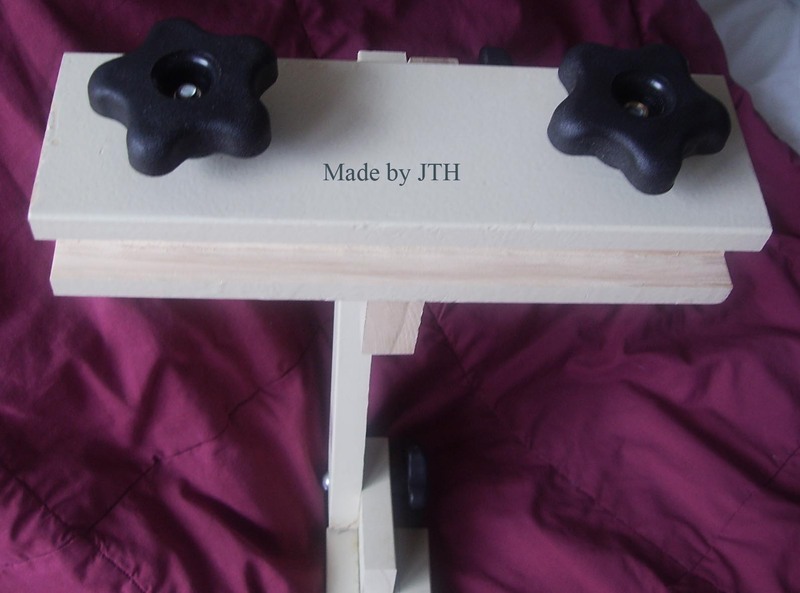 I bought a stand on Amazon similar to what you hubby made but it stands from the floor, I don’t use it as often as I’d like since CQ blocks sometimes don’t want to be hooped! LOL Anyway when we were putting it together I thought, my hubby could have made this for me easy, and he agreed! I’ve been eyeballing the Qsnaps for sometime but haven’t tried them yet I think they look promising for CQ blocks though since they are square! I have the 6″ and the 8″. I just WISH I had such a nice stand ;-). Your hubby did a great job ! 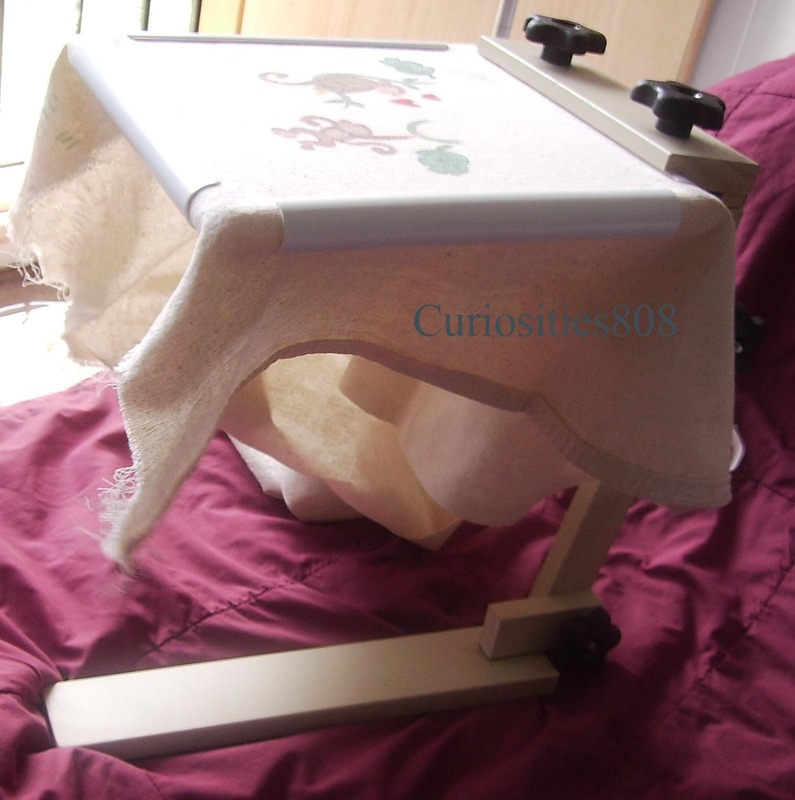 I think is really nice and the fact that you can seat on it makes it more stable than one that is standing (I think) and you can tilt it any way you like…wow !!! 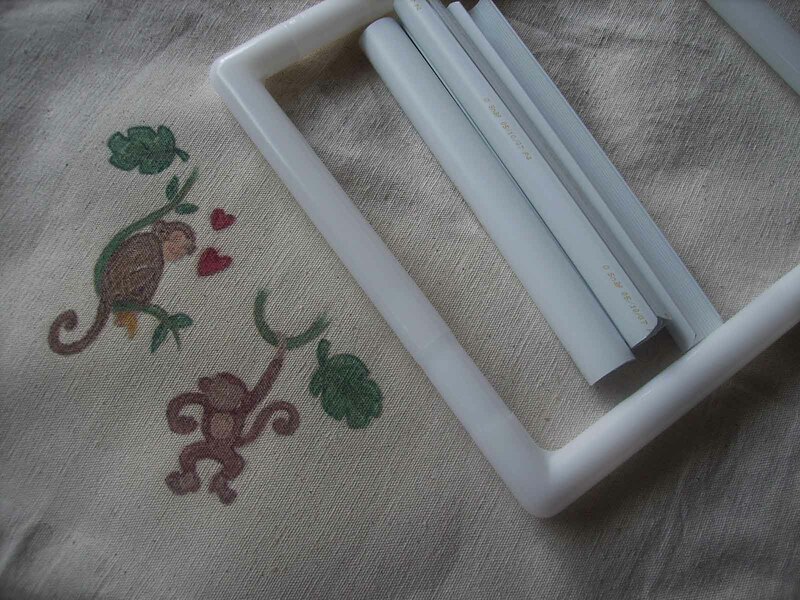 Enjoy stitching with your new hoops and stand ! Great! !I don’t have QSnap and stand. I like you living place!I love HAWAII! I went to HAWAII Three times a few years ago. I want to go to HAWAII once again! That is so sweet of your hubby to just go out and make something for you! The QSnap looks like an awesome tool. I will have to go do some looking around for one…thanks! You’ll have to try the larger QSnaps as well then…since you have the 6″x8″! 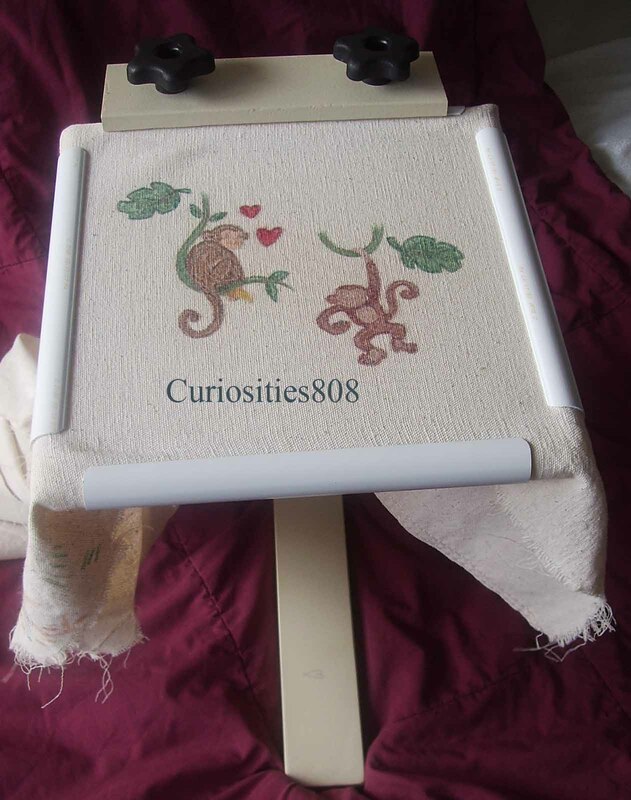 The stand really does help a lot and having one that is made to fit you and the way you stitch is really the best. Thanks for the ‘wow’ and for the visit. You need to try the QSnap. I think it is much easier than just the regular hoop. 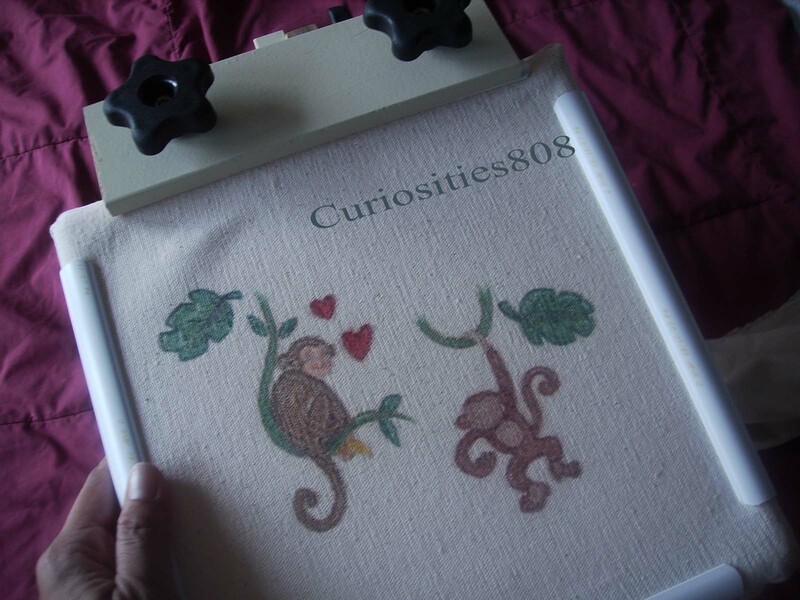 I have seen your embroidery on your blog. It is great! The pincushions are so dainty and your little animals are so cute! I think the QSnap would work with the items that you stitch. I’m excited that you have been to Hawaii. It truly is a beautiful place. Maybe you will visit Hawaii again soon. I have never been to Japan. I don’t know if I would ever get there. I do have a friend who visits Japan every 2 or 3 years. Her brother still lives and works there. She was an English teacher there too. Thanks for visiting my blog and for writing a comment. Hubby really is a nice, nice guy! 😉 He’s a keeper. The QSnaps are nifty and they do hold pretty tight…at least mine have so far. 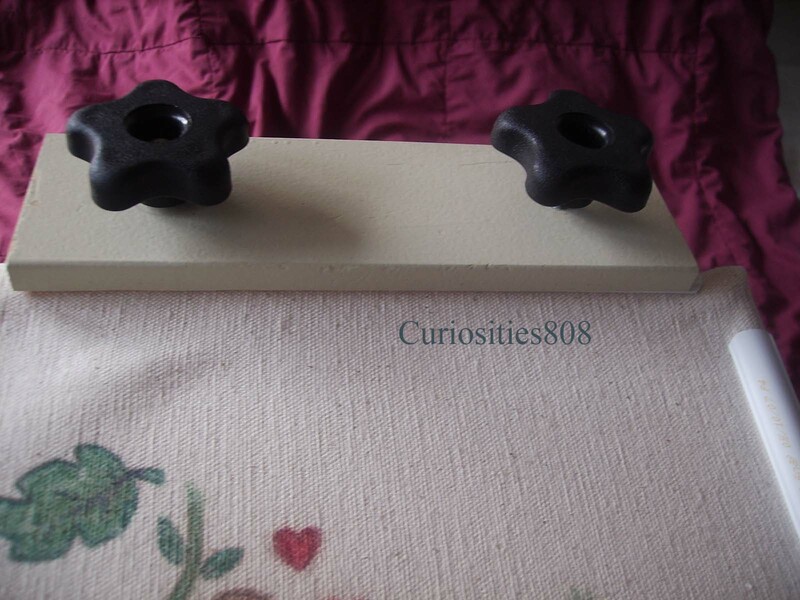 I know some people say that they move their hoops around so they are afraid to use the QSnap, but I think that they make the QSnaps big enough to hold down big quilt chunks. I know it’s perfect for a pillow sized project, so for me, so far, so good. I haven’t signed up to do a massive project yet, so I wouldn’t know about the larger areas to cover. Share photos if you get one! Oh, and I read your blog…(Tracey is Giggleface Studios) about the crayons and the texture. I can’t wait to try it! I was very amazed at your article and am looking forward to trying one of those Q-snap frames. I even called my hubby out into the family room to see the picture of the stand your hubby made and told him “that is exactly what I want!” I was thinking though, what if you took it a step further and put some kind of swivel mechanism so you could easily turn the frame/work over to knot or begin/end your threads? Just a thought – or how do you do it?. Good job and thank you for sharing. I’m am very happy that you enjoyed the article. I’ve heard mixed reviews on the QSnap from some people that use beads with their embroidery. However, I know that with beading, the whole tool realm changes. For me, those QSnaps are the best creation ever! 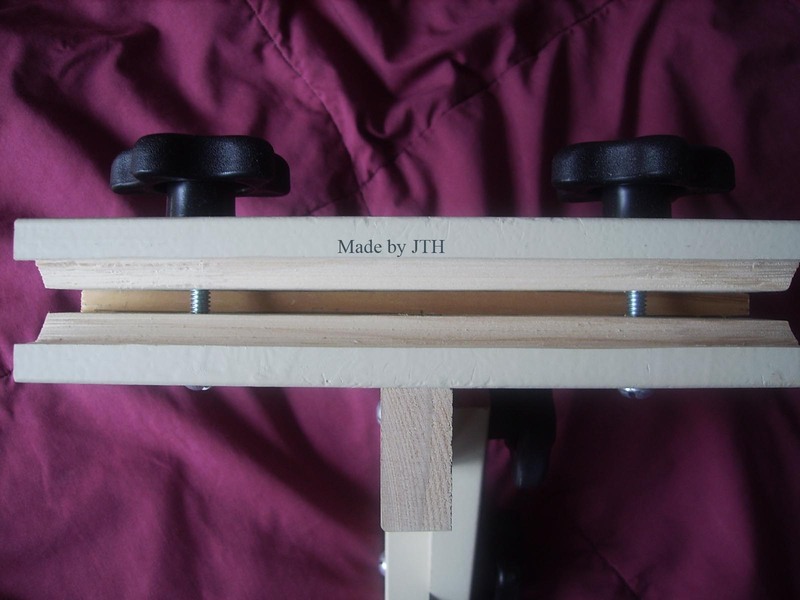 No fiddling with that little screw top on the hoops, no wrapping the hoop…and it’s a really great heft. I stitch with it out of the stand as well and it’s very easy to hold on to and can adapt easily to using a ‘protective fabric’ over the edges. Thanks for visiting! And thanks for the comment. 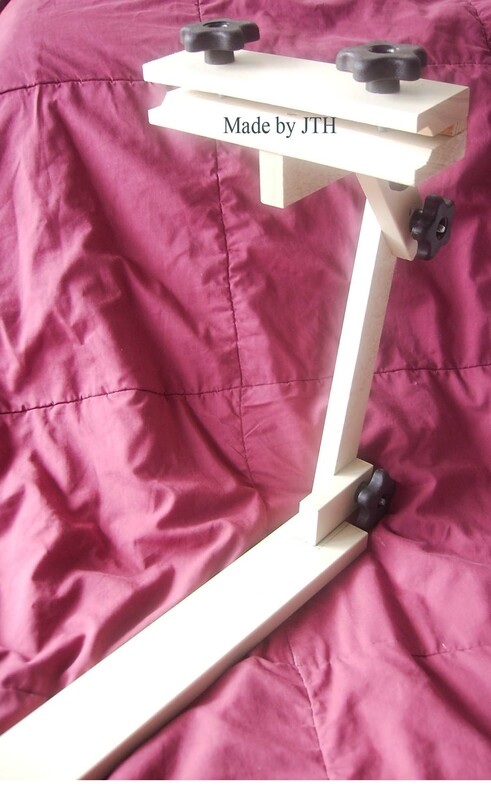 Hope you come back often…and share your projects and photos…especially of your new stand that your hubby is going make for you! How sweet of your hubby! That frame is really cool. And insisting you buy the q snaps to try…he’s a keeper for sure! I really wish we had q snaps available here in New Zealand. I think they are a bit pricey to buy online but I might have to look into it because of all the problems you mentioned. The dirt drives me nuts and the fabric slipping does too. Heehee, he really is a keeper, and yes, he really did insist. He’s a total enabler when it comes to art and creativity! In fact, he surprised me yesterday. We roamed the craft store and I thought this little kit was a sampler of oil paints. I was so excited, until I realized it was not oil paint at all but oil pastels. (We have those already, lol) He is so sweet! He went around the store while I was off wandering and he found a whole LOAD of Oil Paint on SALE!! Clearance tags even! And he bought them all! He had them all in the car before I was even done with my browsing and I didn’t even know any better. Then he surprised me with the package! We now have tubes and tubes of oil paint…and at a mere fraction of the cost! (some tubes are HUGE, like bigger than your hand HUGE…and those were only $2!!!) He found a great deal and it was a great surprise. If you run into trouble getting them, I’m not sure if it’s cheaper to buy here and send your way. Email me and we could see. I’m looking for a stand that could incorprate a magnifier, since I have some vision difficulties. we are interested in making a stand for ourselves, but we find it hard without knowing the materials used. 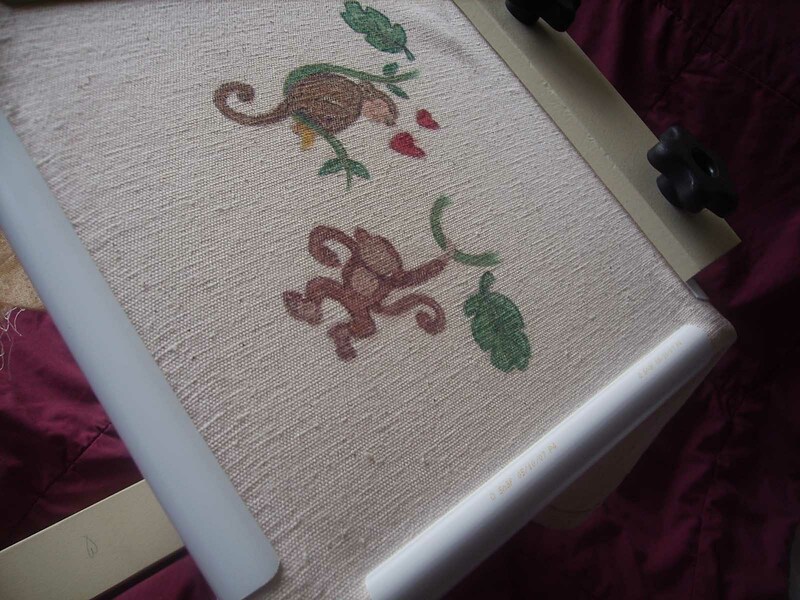 Is it possible your husband tell us the supplies he used to make your stand for the q snap embroidery frame? If yes, thank him in advance.